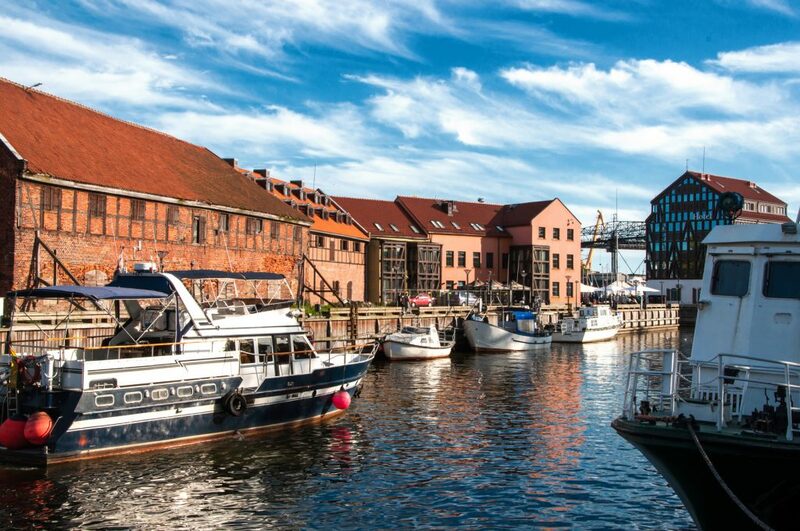 Klaipeda is a beautiful summer city where the aromas of sea salt and delicate fragrance of pines clear your mind with the most charming and peaceful natural beauty. The perfect plan for a day discovering Klaipeda is to let a local tour guide lead you to the serenity of the natural beauty of the unique Curonian lagoon and spit. Walk the Grey Dunes and capture the migrating bird colonies. 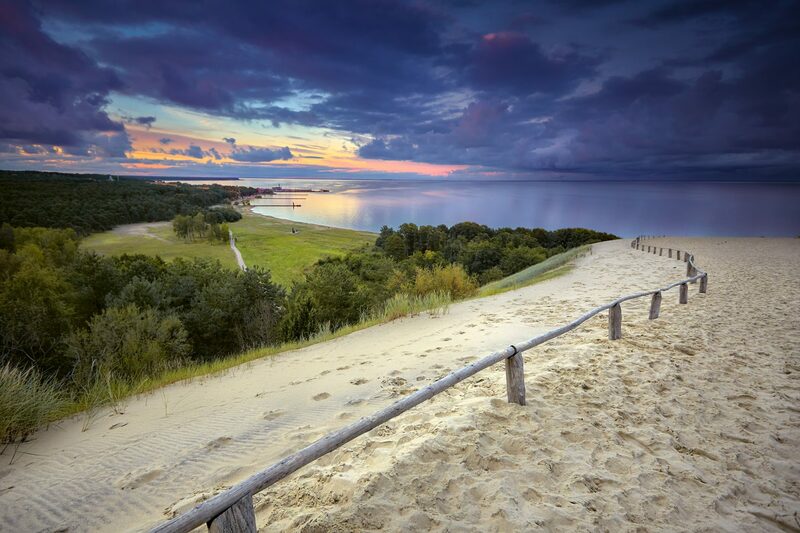 The Curonian spit is famous for its 31 km long coastal ridge of 40-60 m high drifting sand dunes. 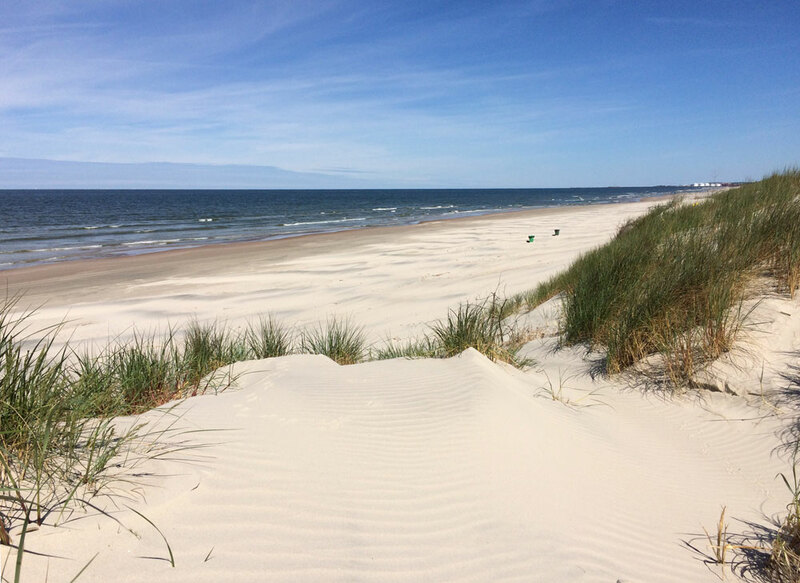 In 2000 the entire Curonian spit has been included into the UNESCO World Heritage List as a cultural landscape of outstanding value. 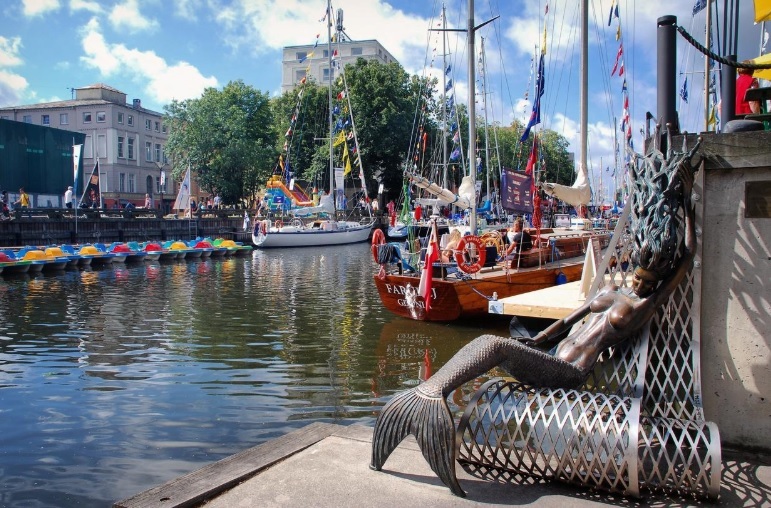 Book your tour to the best of Klaipda here: Klaipeda Tours or explore on your own with help of a few local tips below. Klaipėda center is charming. You’ll discover loads of great coffee shops, museums, galleries and local restaurants while wandering through the small streets of the old town. Everything you need from a modern city is within a 5 minute walking distance. The Botanical Garden is located in the northern part of Klaipėda, in the valley of the Danė River, the territory of the former royal Tauralaukis park closely related to the history of Prussia. Its total area is 9,3 ha. The spectacular landscape, originally formed green spaces, and the unique diversity of the flora delight all those who come there. That is the only place in Western Lithuania where in a small area one can see plants from almost all the continents of the world. Domestic and foreign plants are exhibited in four collections: coniferous woody, deciduous woody, herbaceous ornamental, and herbs and medicinal plants. April 15th. – October 31st. 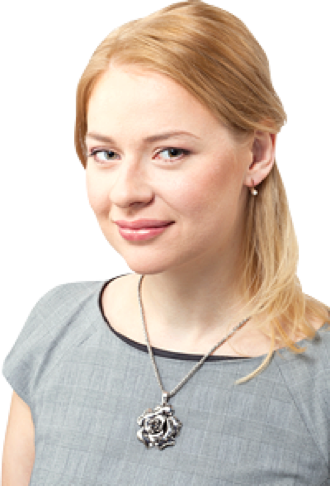 I-VII 8.00 – 17.00 val. For many years the object of attraction in Klaipėda’s Old Town was the granite sculpture called “The cat with the face of a gentleman”, which was created by artist R. Midvikis in 1980. Twice, the sculpture was rebuilt after hooligans stole it, but soon enough it disappeared again. In the summer of 2006, on the occasion of city’s birthday, the cat returned to its rightful place in the Kalvių street square. The sculpture is the true embodiment of a cat – it walks around, leaves and returns on its own accord. It was said that “Old town cat” used to have secret magical powers. If it did not lose that magic touch while wandering around you can check for yourselves. It is said, that when the river floods, she appears as a voluptuous maiden with a mermaid’s tail. The construction of the Nerija fort was started by the soldiers of the Kingdom of Prussia in 1864 and completed by the German Empire in 1871. During the period of 1897–1939, the building was handed over to the port and inhabited by civilian. During the Second World War, the fort was blasted. In the period between 1976 and 1978, it was restored. In 1979, Lithuanian Sea Museum was established in the premises of the Nerija fort. The exposition of the Lithuanian Sea Museum consisted of aquarium and expositions including marine fauna, sea birds and mammals and history of navigation. The maritime fort built in the 19th century was revived for cultural purposes. While visiting the town of Klaipėda, you can unexpectedly find footprints pressed into the pavement. There are four such footprints in Klaipėda. The first footprint is next to the intersection of Klaipėda’s theatre square and the start of Turgaus street. The second footprint is located next to the city council on Liepų street and third can be found at Vežėjų street number 4. 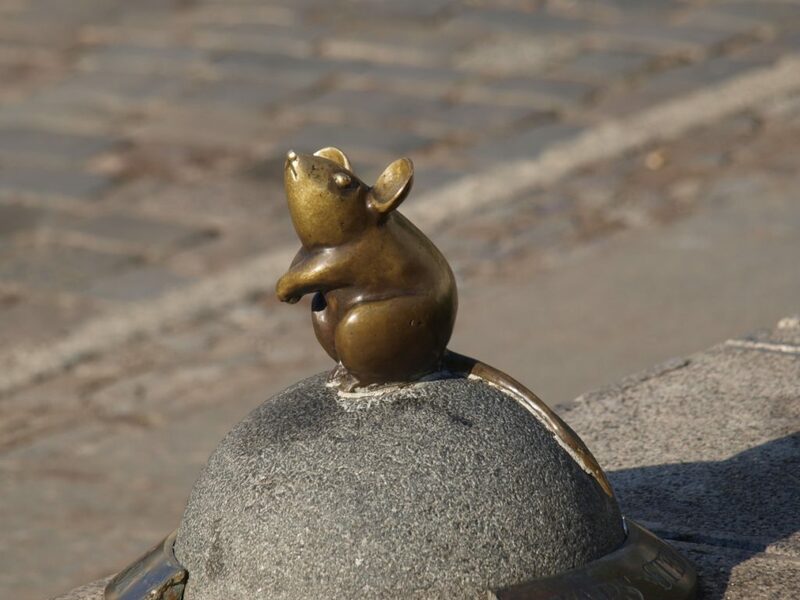 In Klapideda Old Town, a sculpture of a little mouse was put up. It is not an ordinary mouse. The modest 17 cm-tall bronze and stone creation is magic according to its creators. The writing on the bronze band around the tiny creature means: “Convert your ideas into words – words will become magic”. One need only whisper into the ear of the mouse and your wishes will come true. The Lithuanian Sea Museum is located at the northernmost point of the Curonian Spit – Kopgalis, where ends 98 kilometers long the Curonian Spit Peninsula, and the Seaport Gate of Klaipėda opens. In the second half of the 19th century, the defense fortress of the seaside named Nerija Fort was built in Kopgalis, which was almost destroyed during the Second World War. In 1979, the Nerija Fort was rebuilt and adapted to the needs of the museum. Today you can visit an walk in this historic fort.